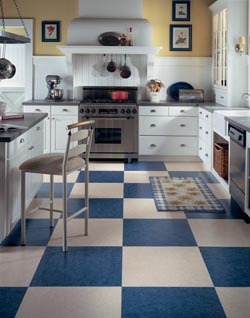 Create a stylish new look in any room of your home when you shop with us for your luxury vinyl tile. At our showroom, we proudly feature a full selection of resilient flooring that stands up to years of use. Whether you are dreaming of the classic look of hardwood or the fresh style of stone, you are sure to find the perfect option for your tastes. This tile, also known as LVT, is a high-end material that delivers timeless elegance and an incredible look and feel. Shop at our store today to explore our collection of luxury vinyl floor tile products. From the warm feeling of wood to the natural look of stone, there is an option available for every homeowner. Whatever your vision is, our collection of vinyl is designed to bring your ideas to life. We proudly feature a full selection of products from the top manufacturers in the industry. Our goal is to take your home design to the next level by supplying you with materials that add value to any space. At our showroom, we offer this product in styles that match the atmosphere of any home. These tiles offer you the appearance of natural and ceramic stone flooring for a fraction of the cost. You won’t have to worry about maintaining grout or removing grout stains after installing luxury vinyl tile. No matter what your personal style preferences are, you can now have the flooring you want with less time, effort, and money needed. When you want high performance flooring at an affordable cost, make the right choice when you shop for resilient flooring. This beautiful material is available in a complete range of styles. From kitchens to bedrooms, you will find a stunning selection that fits in every room of your home. With its durability and strength, this material is a top choice for homes with children and pets. Our products are scratch-resistant and built to last. This product delivers an attractive appearance that mimics the looks of other flooring materials. With the appearance of wood, stone, or ceramic tile, this alternative flooring option offers you the aesthetics you want, with added benefits. It is easy to clean and very versatile, and it makes a great addition to every part of your home. At our showroom, we invite you to check out our stunning options for a fresh makeover in your space. Available in a full range of patterns and styles, it is easy to see why luxury vinyl tile is a top choice for homeowners everywhere. This classic material delivers a beautiful appearance at a cost that fits every budget. At our showroom, we invite you to visit us to see our collection of designs in person. Homeowners everywhere prefer the traditional look of hardwood for their spaces. If you want to add this classic style to your home, you can save hundreds by choosing luxury plank flooring. Our collection of luxury plank is available in a series of styles, colors, textures, finishes, and other options. These elegant materials give you a way to upgrade your home while staying within your budget. This type of vinyl flooring offers you the closest resemblance to natural hardwood. At our showroom, we proudly offer a stunning alternative that delivers the look of hardwood at a competitive price. If you have an active family and experience heavy foot-traffic in your home, vinyl planks are a durable flooring option. Ensure a top result for your project when you work with our contractors for your luxury vinyl tile installation. At our company, our goal is to surpass the expectations of our customers. While many homeowners believe that a flooring installation only involves laying down materials, there are a number of details that go into the job. For the best results possible, it is essential that you turn to a professional for your installation. We perform the highest quality luxury vinyl tile installation throughout the region. With our trained technicians, your new flooring will be installed accurately and efficiently the first time around. By working with our team, you will avoid spending money on avoidable repairs in the future. In addition, we offer guarantees on all of our installation services. As luxury vinyl tile grows in popularity, there are now countless options available to homeowners. With all of the design and styles on the market, it can be difficult to choose the right one for your space. Our team of professionals is happy to work with you to make your decision easier than ever before. We sit down with you and discuss your wants, needs, and pattern preferences. After we compile this information, we will be able to provide you with the best product recommendation for your space. We're proud to serve customers throughout Ankeny, Saylorville, Bondurant, Altoona, Elkhart, Polk City, Mitchellville and Johnston, Iowa.